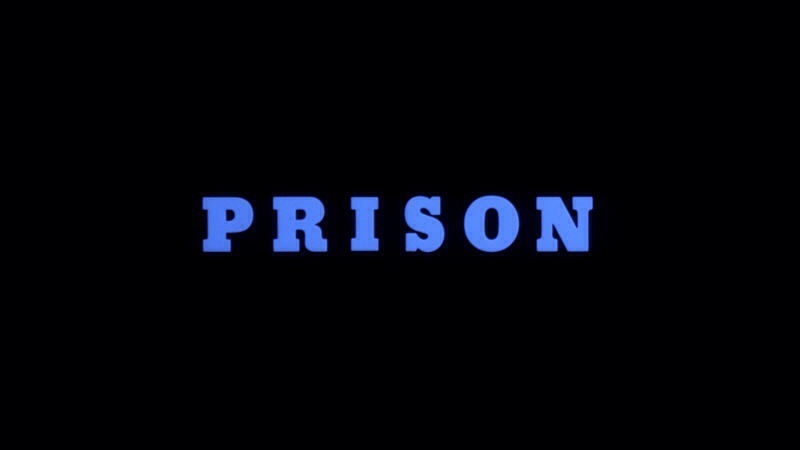 Released in 1988 Prison was Renny Harlin’s 2nd feature film and his first made in the United States. Renny Harlin who is a filmmaker that often gets mixed reviews and while Harlin can be hit or miss he has done some solid films such as A Nightmare on Elm Street 4: Dream Master, which I felt was one of the better sequels and he also directed Die Hard 2 & Cliffhanger. 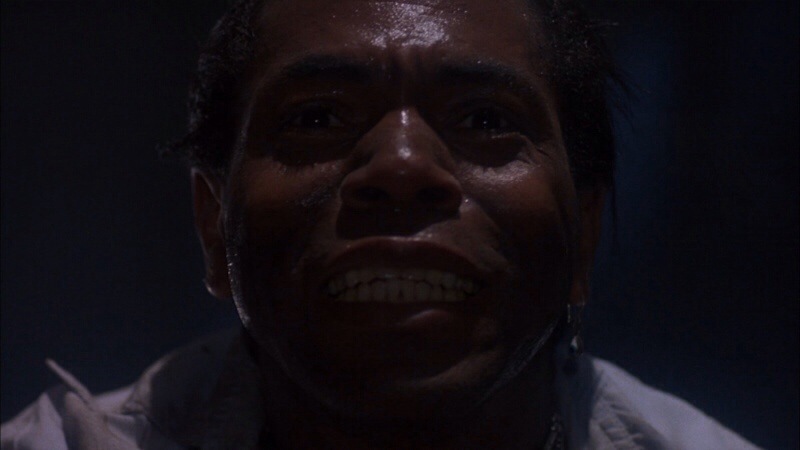 Prison was the film that helped lead to Harlin getting the job for Elm Street 4, but for many years Prison was long OOP only getting a VHS release and the film was sort of fading into oblivion until Shout Factory released it on a blu-ray/DVD combo pack collectors edition. Prison has retained a cult following despite how long it was OOP and hopefully now Prison can get a little more attention as it was a solid film and far better than I expected. 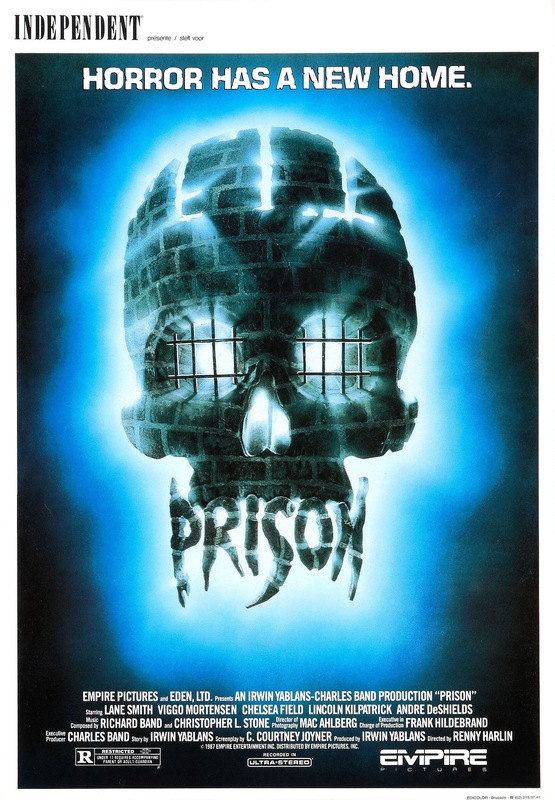 Like I said Renny Harlin can be hit or miss, but Prison in my opinion was one of his stronger films and despite being made on a low budget it actually looks like it cost more to make as it has strong production values. Quite honestly I really wasn’t sure what to expect and I decided to give the film a try and it ended up being a pretty good flick. For those looking for non-stop action you might wanna look elsewhere. Prison goes for more atmosphere and while it may not always work, but for the most part it does. There isn’t a lot of action, but when there is its quite effective with the highlight being a death involving barbed wire. 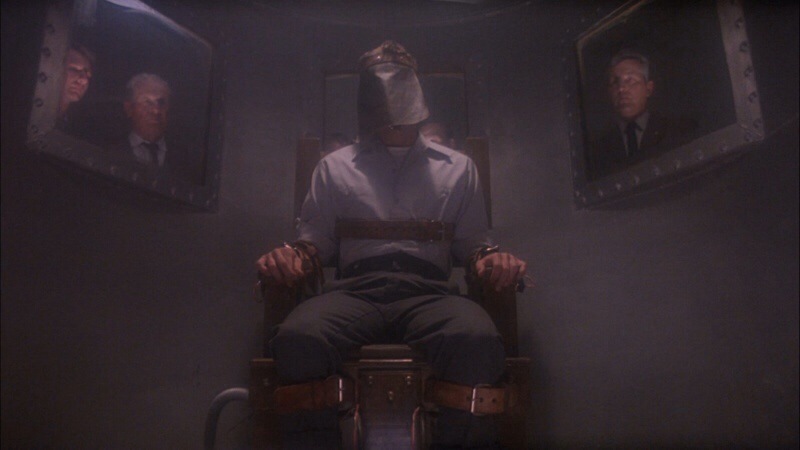 After an inmate is wrongfully executed he returns to haunt the prison as well as seek revenge against the prison guard as well and everyone from the staff and inmates are in danger. 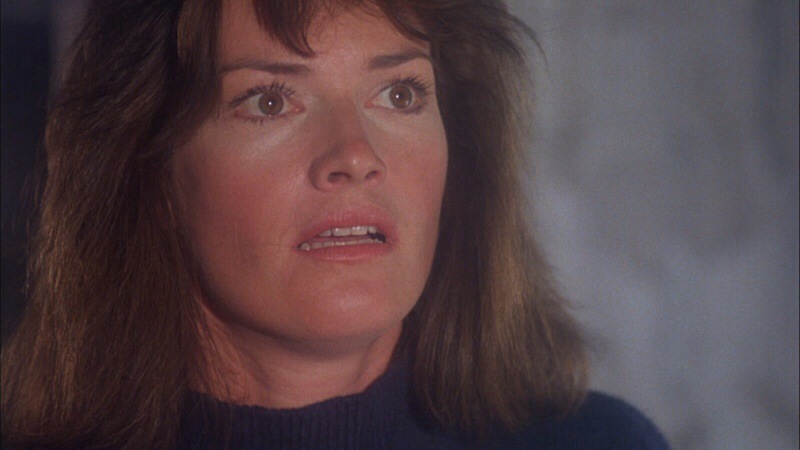 The screenplay was written by C. Courtney Joyner based off a story by Irwin Yablans who is best known to horror fans as one of the executive producers of the first three Halloween films. Joyner has written some solid films including one of my favorite cult films Class of 1999. 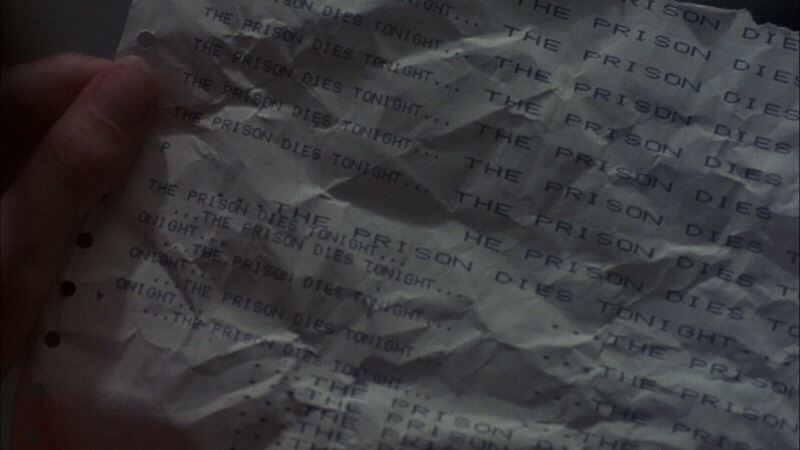 Joyner’s script for Prison is well written and while the characters may not have the most depth they actually work well. Joyner’s script is better than what you’d expect from a low budget 80s horror film. Prison is well plotted and even if characters lack depth they are mostly likable. As director Renny Harlin crafts a well made film with atmosphere and suspense. 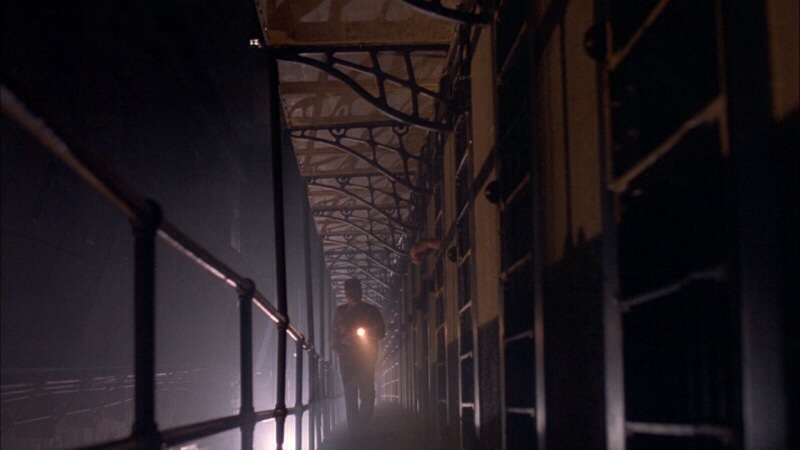 The prison setting is used greatly here and adds to the eerie atmosphere and Prison is generally well paced. While the film may not feature a lot of action, but when there is, Harlin delivers effective death scenes. Like I said I was quite surprised by how much I enjoyed this film. I wasn’t expecting much, but Harlin crafts a very good horror film and too bad he didn’t make a couple of more. 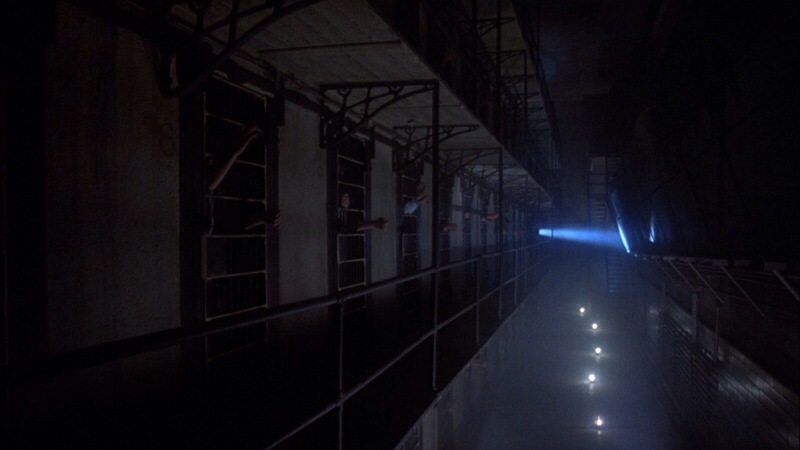 Prison is all about the atmosphere than anything else and Harlin delivers on that more or less. 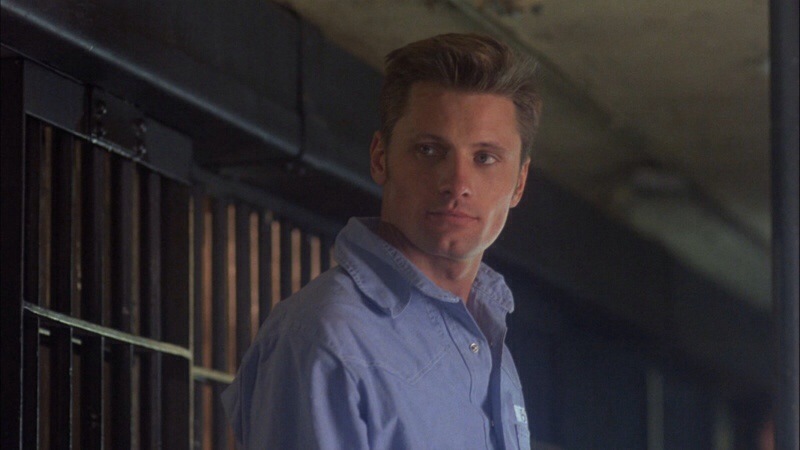 Prison also has an excellent cast, which includes Tom “Tiny” Lister, Chelsea Field, Lane Smith and of course Viggo Mortensen in an early role. For a low budget horror film from the 80s the acting in generally strong. 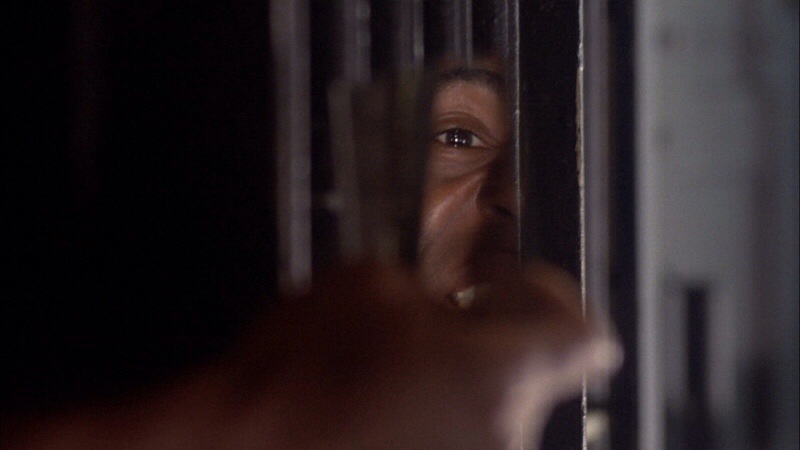 Overall Prison is a very good horror flick that I found highly enjoyable. 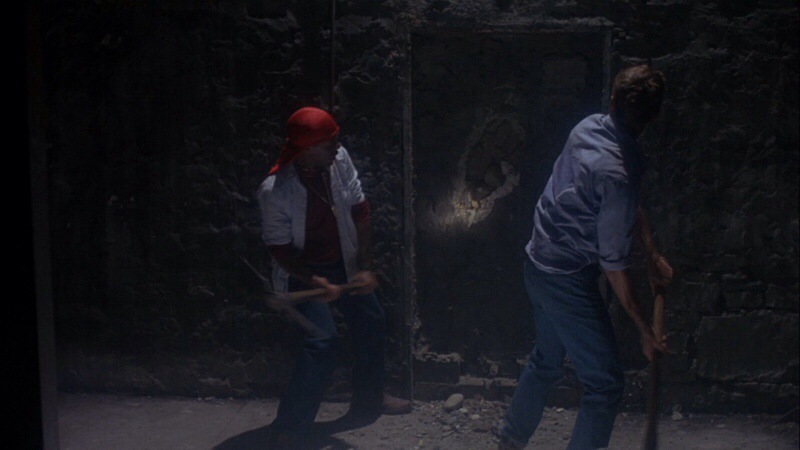 Hopefully with the Shout Factory release Prison will find more of an audience. Like I said I really wasn’t sure what to expect and quite honestly I didn’t think I’d be that into the film, but Prison turned out to be a nice surprise. The blu-ray release from Shout Factory (Scream Factory) has excellent video and audio and a nice batch of extras.